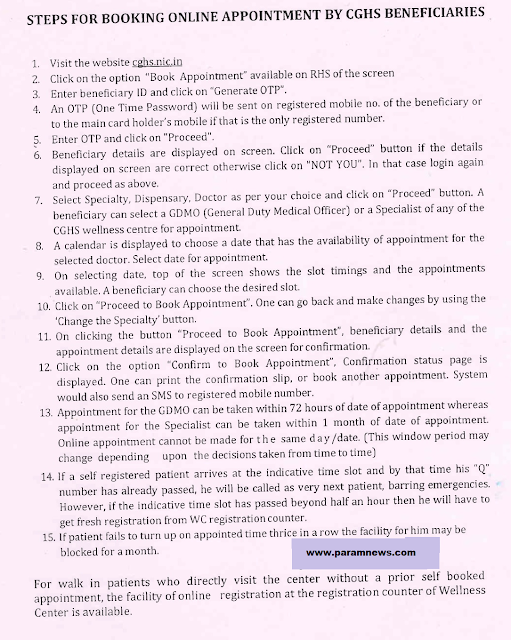 New Delhi: Directorate General of CGHS, MOHF has issued Office Memorandum regarding Online Appointment System for CGHS beneficiaries. Now existing CGHS beneficiaries can book an appointment for Medical Officer or, Specialist consultation online. 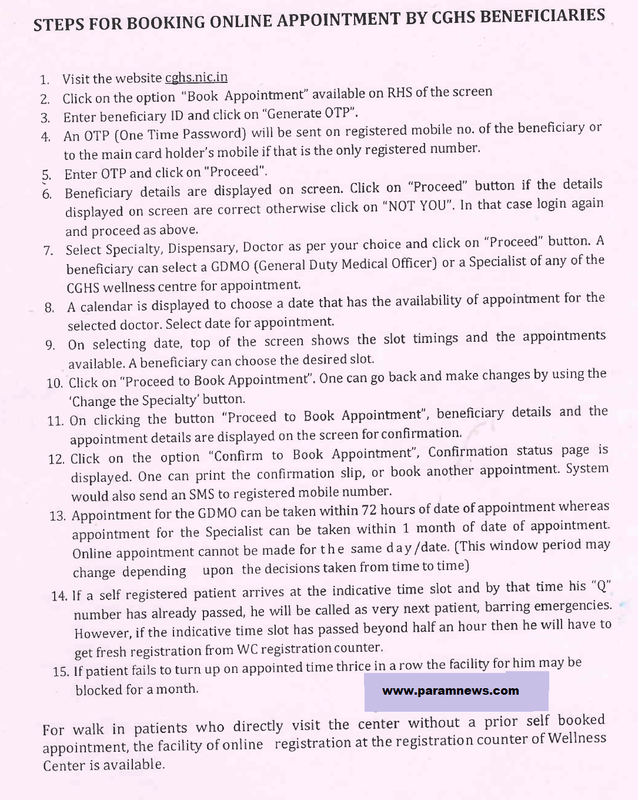 Directorate General of CGHS, MOHF has issued Office Memorandum regarding Online Appointment System for CGHS beneficiaries. 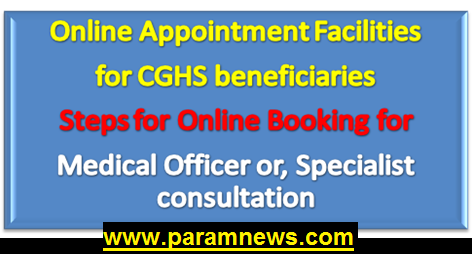 Now existing CGHS beneficiaries can book an appointment for Medical Officer or, Specialist consultation online.